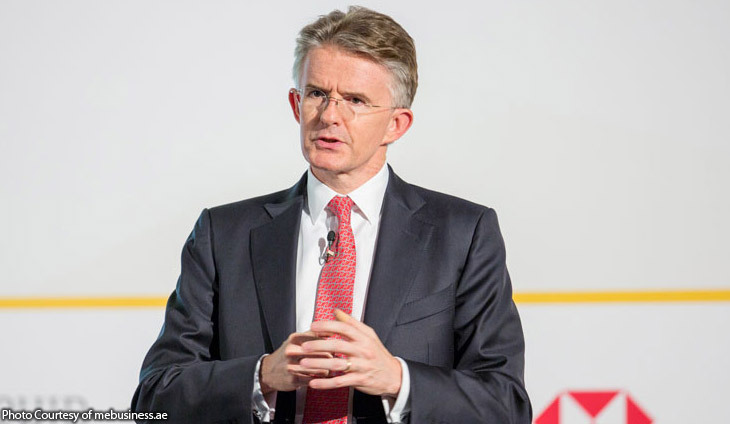 HSBC’s new chief executive said Monday he wanted a return to growth for the banking giant after a huge restructuring that saw the lender exit numerous markets and axe tens of thousands of jobs. John Flint, who replaced Stuart Gulliver in February, said he plans to invest $15-17 billion (12.7-14.4 billion euros) primarily in growth and technology projects. “After a period of restructuring, it is now time for HSBC to get back into growth mode,” Flint said in a statement. Flint said that over the next two years, the bank aims to deliver mid-single digit growth in revenue and low to mid-single digit growth in operating expenses. He added that the updated strategy involves turning around its US business and to increase its share of the home loans market in the UK. Flint was promoted to the top job after serving as HSBC’s head of retail banking and wealth management. After some strong profitable years under Gulliver’s before his retirement, HSBC earnings plunged in 2016 on huge writedowns and restructuring charges. However, they rebounded strongly last year, in part thanks to a strong Asian performance. The bank had in 2015 set out a plan to axe 50,000 jobs and exit non-core markets, as it also navigated a series of damaging probes into HSBC operations. Prior to his departure, Gulliver said that HSBC would likely switch 1,000 jobs to Paris from London owing to Britain’s departure from the European Union due next year. More state workers got a taste of their pension contributions. Here's another avenue for teachers to rely on.